Manufacturing is in the early states of a state of disruption brought on by technologies such as artificial intelligence (AI) and 3D printing. "Additive manufacturing" has already worked itself into companies such as Porsche and Bugatti, and aircraft builder Airbus is experimenting with UAV THOR, a drone made entirely of 3D-printed parts. At the same time, AI is coming into play in a number of ways, in everything from analytics to manufacturing robotics. So the "factory of the future," as envisioned by projects such as the Defense Advanced Research Projects Agency's Adaptive Vehicle Make program, is one in which software drives the manufacturing process and the factory can be rapidly reconfigured to change what it makes. In this increasingly connected manufacturing chain, a product’s form and features don't even need to be finished when it ships. With just a little Internet access, products themselves are beginning to participate in improving their overall design long after they’ve left the factory. They can in effect “phone home” changes to their own design to improve efficiencies or to overcome new or unforeseen obstacles. Thus, human designers have started seeing their role change: they're increasingly becoming co-designers with a thing for a product's entire lifespan. “The most exciting change is the embedding of sensors within manufactured items, to create a design system that is a self-improving circuit, where the sensors provide feedback to the design to cause it to respond and improve,” said Tod Northman, partner at Tucker Ellis, a law firm with a specialized practice in intellectual property and liability issues concerning autonomous vehicles and other artificially intelligent devices. “Such a system will become a self-improving loop, with better products resulting without human intervention." “You won't have to tell it that your design needs to be this material or that material or it needs to be printed or machined. You're only interested in the end performance of the part, the function it needs to do in the world, and that's what you tell the system," says Schrauwen. "The system then figures out whatever material and tools are available locally and how it can deliver on that requirement." While some AIs will become more popular than others, none of those will be a competitive threat to human designers. It’s far more likely that humans and AI will become co-designers as opposed to machines taking over these jobs. That’s partly because humans are still more creative than machines, and partly because things are manufactured for human use and preferences. AI is a long way from being able to discern what humans want and like beyond the basics. What they may lack in creativity, today's machines do excel at computing logistics, costs, and myriad details which in turn magnify human creative expressions. The combination of machine and man is thus more productive than either is alone. “AI is permitting designers to generate rapid, precise variations in ways that were previously unthinkable,” said Northman. Today, this symbiotic relationship is more complicated than simple efficiency and expedience. As it gains new experience in design work, AI is beginning to contemplate more than human designers are likely to consider. “Using AI to generate designs has enabled the system to push through human limitations—producing designs that would be impossible for a human to conceive, let alone produce,” Ellis said. Again, the human limitations AI is pushing through are not the creative aspects of the design, rather AI finds new material and production possibilities which in turn can affect the creative characteristics of the design. By testing data loops back into the design process, AI speeds up iterative improvements beyond anything experienced in manufacturing earlier. In other words, the human designer initially uses the AI-enhanced generative design as a production assistant, but the two still effectively become co-designers in the end. Perhaps even better for certain industries, AI can be a human partner in planning, too. When combined with improved 3D printing, adding AI to manufacturing can also address tariffs and regulations. “With 3D printing, companies can manufacture parts on-site without the costs, tariffs, or time delays associated with shipping. AI-assisted generative designs can be created in one country with the additive manufacturing happening in another,” said Reichental. “More effective additive manufacturing will enable faster and more easily-deployed manufacturing supply chains that circumvent international borders and lower consumer costs dramatically." In a nutshell, humans and machines become partners rather than competitors because designers don’t want to be engineers, and engineers don’t want to get lost in the production grind. Conversely, self-designing things are focused on solving problems and not aesthetics unless instructed by humans to follow functional improvements with cosmetic work. Thus, the division of labor is distinctly drawn: Humans create. Machines build. Things change the world. For machines to build in the most efficient way, AI must also analyze the tools and innovate or invent accordingly. Historically, manufacturing involved cutting, stamping, or pressing shapes from myriad raw materials. Those processes are collectively referred to as subtractive manufacturing. Today, additive manufacturing, aka 3D-printing, adds layer upon layer of specialized “inks” to create a 3D object faster, with no waste, more precision, and fewer steps. Of course, there are also drawbacks, such as in poorer surface quality. Therefore, many manufacturers prefer to use both methods today, leveraging the strengths of each in hybrid manufacturing processes. Nelaturi welcomes the emergence of AI-assisted software tools. “The complexity enabled by modern materials and manufacturing processes can truly disrupt the way we design tools,” Nelaturi added. That is the nature of AI tools: they analyze every process, every tool, every design, function, feature, and human whim—and change them all. Among the initial industry shifts AI has driven, this technology is largely pushing companies towards additive manufacturing. “Generative design is the killer app for 3D printing/additive manufacturing,” said Richard D’Aveni, a 3D printing and generative design expert at Dartmouth. “For two reasons: First, many companies are slow to adopt additive due to resistance from veteran engineers and designers who don’t want to learn a new manufacturing approach all over again. 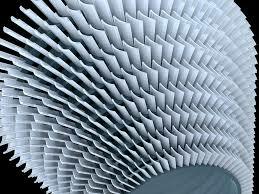 Second, Generative Design promises a substantial boost in product performance and quality. Once product developers realize its power, they’ll insist on working with it—and will insist that their companies shift to additive to realize the full potential of Generative Design." AI-based generative design is fueling the adoption and improvement of 3D printing due to that technology’s versatility, efficiency, and lack of waste. For all the machine-driven disruption being discussed in manufacturing, interestingly, it wasn’t technology that sparked this moment. Humans did; specifically, the Maker Movement. The Maker Movement showed that anyone can make something, though ultimately creativity in design remains a rare skill among humans and nonexistent among machines. So even as manufacturing's future gets more tech-driven, the demand for designers is expected to escalate. Contrary to the common concern, all this new tech may thus create jobs within these communities. Not everyone thinks AI and distributed manufacturing will favor the little guys like this, however. While Dartmouth's D’Aveni agrees that AI-based Generative Design will promote additive manufacturing (which will in turn shift manufacturing to a distributed model closer to customers), that’s all he agrees with. Because the AI-enhanced software digitally optimizes production and supply chains, he said, it is likely to encourage the formation of software platforms to coordinate and optimize manufacturing in general. D'Aveni predicts that will lead to highly diversified, giant pan-industrial corporations and networks as opposed to a small business-driven landscape. No matter who ultimately benefits the most, it's clear AI is changing manufacturing in all its aspects from design and production to business practices and the tools themselves. And as those changes slowly begin to mainstream in the near-future, one thing is clear right now: your next co-designer is very likely to be a self-designing machine with a few good ideas of its own. Just add art.